I can’t be the only one wondering what the heck is going on with our food system lately. The recalls on commonly consumed foods have been so numerous that it seems like there’s another one every other day. The contamination of our food supply is very unsettling. This year hundreds of people were sickened by romaine lettuce contaminated with E. coli and several even died. But there have also been recalls on meat, on breakfast cereal, on frozen food, and even pet food. In just the past week, there have been massive recalls on ground beef, breakfast sausage, and canned corn. Below, you’ll find the details. Check your kitchen and dispose of any of these foods if you have them on hand. JBS Tolleson Inc. has expanded their recall of ground beef and “non-intact” beef products to include 12 million pounds of meat. The products are feared to be contaminated with salmonella. Because these were packaged between July 26, 2018, to Sept. 7, 2018, the most likely destination for these products would be your freezer. 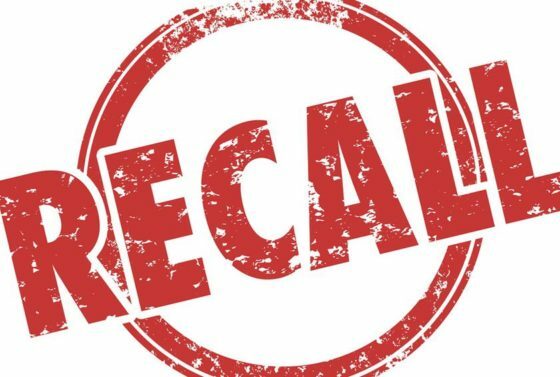 The products recalled include ground beef chubs, burger patties, ground beef sold in trays, and pre-seasoned ground beef. Go here to get the specific products and numbers of the beef that has been recalled and here to see the labels and brand names. Popular Jimmy Dean ready-to-eat breakfast sausage links have been recalled due to customer complaints about pieces of metal in the sausages. If you have questions about any Jimmy Dean products you may have on hand, you can contact the Jimmy Dean customer service line at 855-382-3101. Del Monte canned corn recalled for potential botulism. All those people who think that home-canning is some kind of witchcraft and that commercially canned food is much safer should be aware that Del Monte has called back 64,000 cases of canned corn that was not properly processed. Of course, as any home preserver knows, what they’re talking about is botulism, a potentially deadly toxin that can cause the symptoms similar to those of a stroke. And even if you survive botulism poisoning, you can be left with permanent neurological damage from it. The product in question is Fiesta Corn with Red & Green Peppers. Del Monte shipped the corn to Alaska, Alabama, California, Connecticut, Florida, Georgia, Illinois, Indiana, Kansas, Louisiana, Maryland, Michigan, Mississippi, Missouri, North Carolina, New Jersey, New York, Oklahoma, Pennsylvania, South Carolina, Texas, Vermont, Virginia, Washington and Wisconsin. The company also sent the recalled canned corn to a dozen foreign countries: Bahamas, Barbados, Belize, Bermuda, El Salvador, Haiti, Guyana, Uruguay, Aruba, Panama, Saint Lucia, Suriname. If you have more questions, you can contact Del Monte by calling 800-779-7035. Why are we having all these recalls? It seems like in the past few years, the recalls have been practically nonstop. Many organic brands and products have been included, and many major food suppliers. It’s not just some little fly-by-night companies who are taking shortcuts. The CDC has investigated 24 multi-state foodborne illness outbreaks so far this year. Another recent development in protecting the US food supply is the Food Safety Modernization Act, which became law in 2011. Gottlieb said the act represents a “paradigm shift,” as it is based on prevention instead of reaction. I have to call Baloney Sandwiches on Gottlieb’s claim that we’re so much safer now due to the FSMA, which in actuality makes food freedom a heck of a lot more difficult for anyone who’s not part of a giant corporation. It would criminalize the transporting of organic produce if you don’t comply with the authoritarian rules of the federal government. This law would also give the U.S. government the power to arrest any backyard food producer as a felon (a “smuggler”) for merely growing lettuce and selling it at a local farmer’s market. It would criminalize seed saving (http://foodfreedom.wordpress.com/2009/06/13/…), turning backyard gardeners who save heirloom seeds into common criminals. This is obviously designed to give corporations like Monsanto a monopoly over seeds. Wow. I feel safer already. I don’t know what it is, but it seems to me that food production has become incredibly sloppy and careless, and we, the consumers, are the ones who are paying the price. By making food production corporate instead of local, we risk contamination on a massive scale. Check your pantries and freezers for recalled foods. I recommend going through your freezer, fridge, and pantry to see if you have any of the products listed in the recall. I had a few packages of Laura’s Lean Beef that I’ll be returning for my money back. And if you haven’t already begun to build a stockpile based on safe, local foods, now is the time to start working on it. Clearly, Big Food can’t be trusted not to contaminate their products, as is proven by all these extensive recalls.